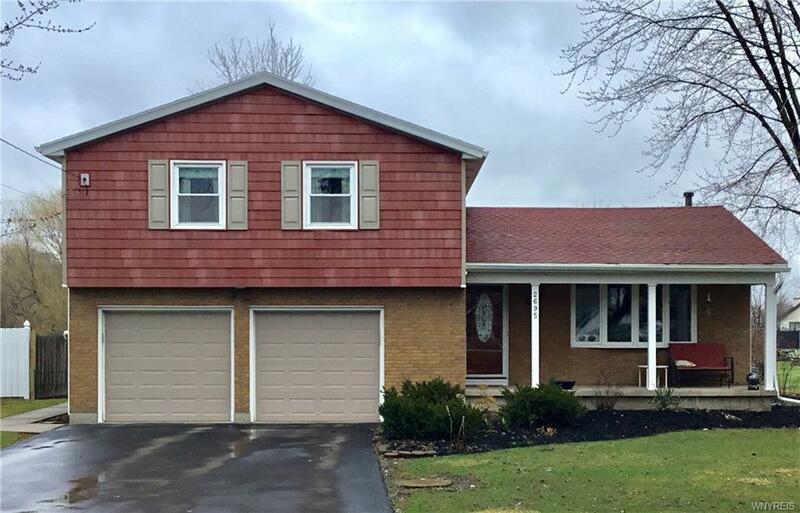 Nicely updated home in walking distance to schools and walking path! Living room features beautiful hardwood floors and bow window, remodeled kitchen with hickory cabinets,concrete counters,brass sink ,wine cooler and tile back splash. Kitchen is open to the cozy family room with neutral colored carpet. There is also a first floor laundry room and half bath on the 1st floor. Three good sized bedrooms with ample closet space including walk in closet in master. Very large full bath with whirlpool tub has been remodeled as well. Front covered,porch,20x30 patio and large shed in the back yard. Tank Less hot water system. Roof,siding and most windows 2009. Deep lot with plenty of room for a second garage or out building. Directions To Property: Stony Point Near Bedell And Ransom Roads.